There are no surprises in the Chinese government’s latest plan for the country’s international education sector, stakeholders have said, as the blueprint, which aligns with the country’s current Five Year Plan, reflects a shift in focus to be more outward looking. The proposed TNE reforms “will likely make these procedures and requirements clearer"
The document, entitled Guidelines on Works in Opening Up the Education Sector in the New Era, lays out the government’s intentions to strengthen China’s image as an attractive study destination, boost the quality of international education provision, and encourage partnerships with foreign education institutions and enterprise. There is notably little discussion of self-funded study abroad, as the document places a heavy emphasis on cross-border cooperation with foreign universities and other organisations. In-depth educational cooperation between overseas sister cities and institutions; boosting course quality by learning from overseas universities; and engaging in joint research are among the plan’s goals leading up to 2020. The government will play a role in facilitating high-level consultation on education and cooperation, it states. Chinese HEIs and vocational colleges meanwhile will be encouraged to invest in developing educational programmes or branches overseas, as well as establish partnerships with industry. The focus on foreign partnerships may encourage Chinese HEIs that have been uncertain about developing partnerships with overseas institutions to do so. “The biggest positive would be any Chinese institution that has been reluctant to pursue foreign partnerships would, in light of this statement, be having another think about doing so,” said Kim Morrison, CEO at market entry specialists Grok Global Services. The document does not contain any surprises for stakeholders but is “representative of the direction China is taking overall – gradually opening up, inviting more foreign investment, spending more on science and technology, exposing youth to overseas cultures and experiences”, according to Morrison. The government says it will place priority on strengthening cooperation with other BRIC countries and supporting developing countries through international education and training centres. Emphasis will also be put on promoting the ‘Study in China’ brand to attract more inbound international students. In particular, the strategy aims to target overseas talent from specific groups including speakers of less-common languages, specialists for international organisations and top visiting scholars. The government also intends to overhaul the country’s TNE programme by reforming the programme approval and withdrawal and accreditation procedures. The policy has the potential to be a “valuable resource in terms of understanding the country’s priorities in the field of international education cooperation over the current five-year plan period”, noted Davisson Li, education marketing officer at the British Council in China. But Li also pointed out that the document does not set out specific timelines for the reforms listed. The proposed TNE reforms in particular “will likely make these procedures and requirements clearer and therefore be a positive development for [foreign] institutions interested in joint provision in China”, he added, although they are non-specific in nature. On the outbound side, of which there is scant mention, the strategy promises to ramp up oversight of education agencies – though again, it does not outline any specific measures. 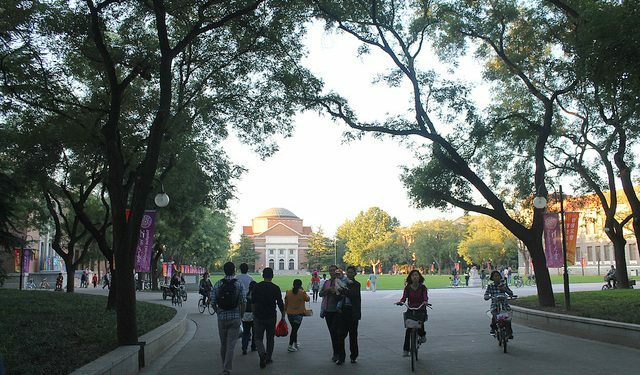 Further discussion of how the country can promote outbound study or support self-funded students is conspicuously absent from the plan, said Peng Sang, president of the Beijing Overseas Student Services Association. Excellent program that opens so many fields in contact and development of partnertships abroad. China has it all for the future of the world.